I previously shared a little about this book and a giveaway that was going on. Now, I would like to share a little more about this book. I believe now, more than ever in the past we need to ground our children in Biblically sound teachings. 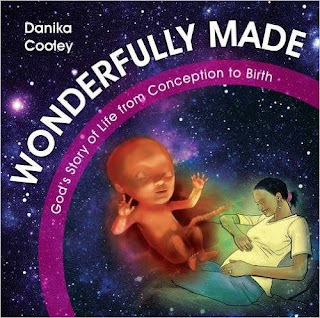 This book, Wonderfully Made, by Danika Cooley tells how a child is formed from the time of conception to birth. The book is done keeping the innocence of your child in mind. 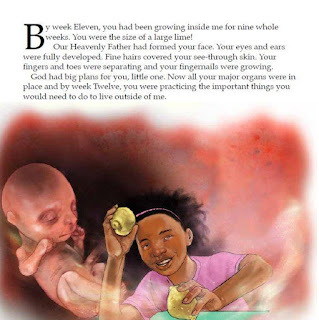 The book follows a week by week description of the baby's formation and development. I would suggest the book for ages 7 and up, but you could use it with younger children to share the pictures and explain some of the growth and development in your own words. I love that she gives examples of common items to compare the size of the baby, so your child can get a visual image in their minds. Danika includes Bible verses throughout the book. I personally use only KJV, but it is so easy to just look the verse up and read out of my own Bible, that I would not consider that a drawback. The verses are of course to do with how God has created each individual. If you are expecting and have other children, this is the perfect book to use to explain the pregnancy. Wonderfully Made is a great gift too. You don't need to be expecting though to use this book, it is great just to explain from conception to childbirth to your children. When you get asked where do babies come from, pull out your copy of Wonderfully Made. One of the very best parts of this book is the end, where Danika goes from explaining about the physical birth to describing spiritual birth. What a great transition from physical to spiritual. This will open a door to you speaking to your child regarding their spiritual state. 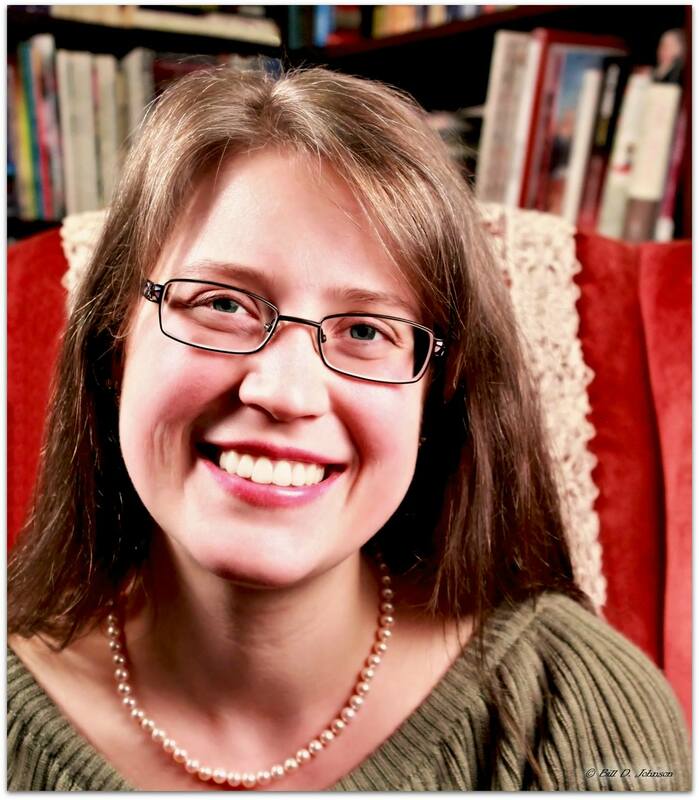 Danika Cooley is a married mother of four, a grandmother, a curriculum developer, and a writer. Danika's three year Scripture survey for preschool to high school, Bible Road Trip, is used across the globe. She blogs about godly parenting and homeschooling resources at Thinking Kids. 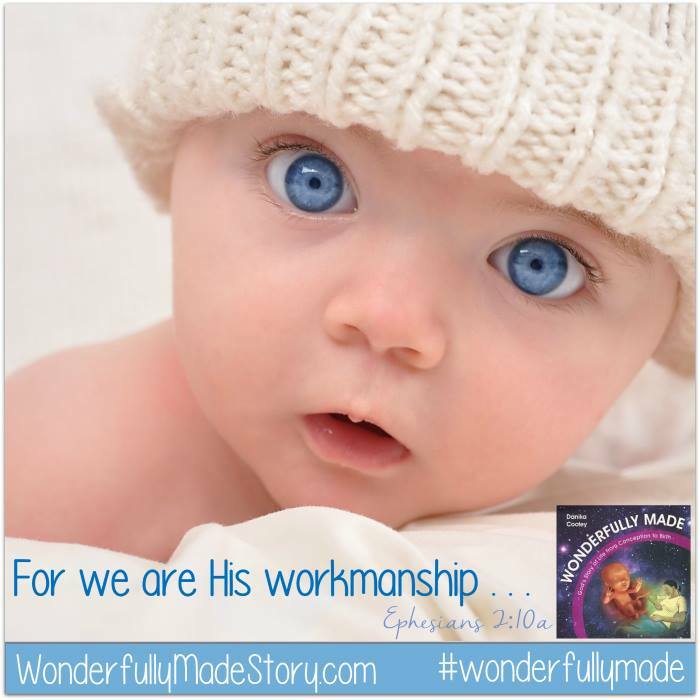 Please consider ordering Wonderfully Made, as a gift or for your own family. You can purchase Wonderfully Made on Amazon.